Let’s look at alcohol use. It’s a common belief among college students that their peers consume more alcohol than they do. 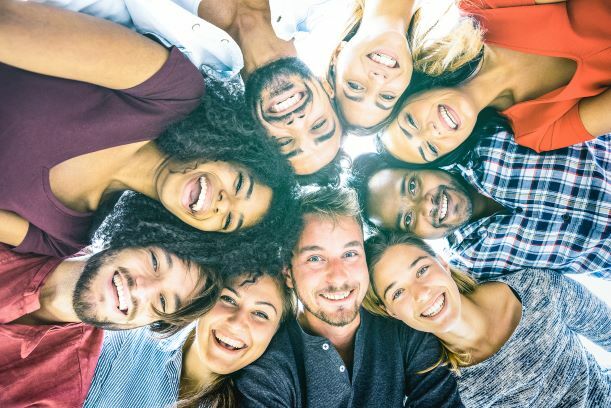 Students who believe this are more likely to increase their normal alcohol intake to “fit in.” But research actually shows their peers are drinking less than they assume. It’s a tragic misconception. To decrease levels of drinking among students, promotional campaigns aimed at informing students of the reality of drinking are used. Once students see that their peers really aren’t drinking as much as they believe them to be, their alcohol use decreases. This is known as social norms marketing. Social norms can be defined as a pattern of behavior in a particular group, community, or culture, accepted as normal and to which an individual is accepted to conform. 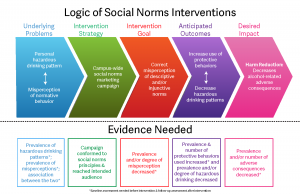 Social norms marketing uses traditional and innovative marketing methods to inform and educate students on positive social norms with the goal of correcting the misconceptions. The social norms approach has been gaining traction at colleges and universities across the country. 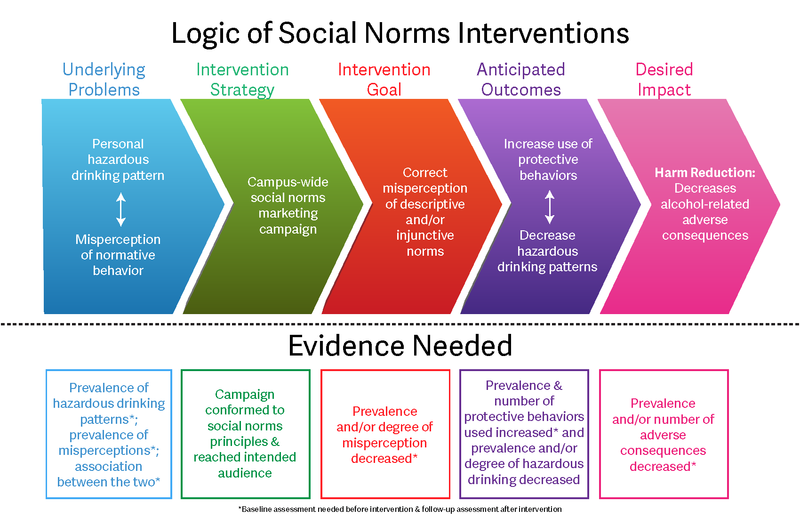 Although alcohol use may be the most cited example of a way in which social norms marketing can be used, the applications for use are extensive. Some additional examples include misperceptions about smoking, gambling, and eating behaviors, as well as attitudes towards sexual assault and homophobia. Let’s take a deeper look into the strategy behind a social norms campaign. Now that we understand the concept behind social norms marketing, how do we put it into action? Check out part 2 of our series on social norms marketing to get tips of the trade for developing a creative promotional campaign at your school.